Because Burr Yacht Sales sells and services nearly 60% of Fleming Yachts worldwide, we have an incomparable knowledge not just of the Fleming brand, but of the more than 200 new Flemings we have outfitted and serviced throughout the East-Coast, Great Lakes, and Caribbean. The majority of the boats we offer were originally factory ordered and outfitted by our company. In many instances, Burr Yachts Sales has also provided ongoing service and maintenance – often since the new vessel was delivered to its original owner – to the previously-cruised boats we have available for sale. Depending on its vintage, it is more than likely that BYS has resold an available Fleming more than once. Since being founded by Art Burr in 1963, providing exemplary customer service has been at the very heart of what we do. This has allowed us to form strong relationships with our customers that last throughout the ownership cycle. 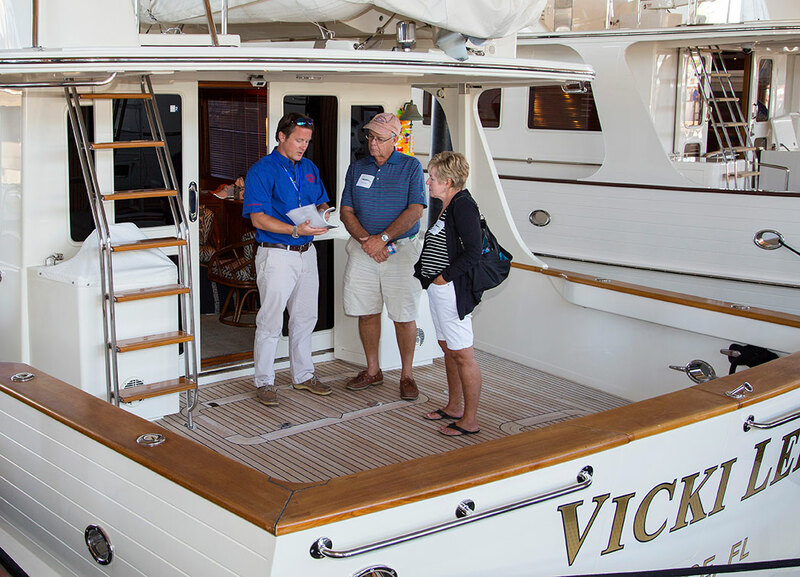 Because of this relationship, many Fleming owners choose to relist their boats with Burr Yacht Sales when the time comes to sell. Unlike typical yacht brokers, who work on commission and whose primary interest is closing the deal before moving on to the next opportunity, Burr Yacht Sales is a full-service dealership and our salespeople do not work on commission. When an existing client begins to entertain selling their Fleming, often to upgrade in either size or year, we pre-survey the vessel even though, in all likelihood, we’ve been servicing it regularly since it was originally outfitted by us when new. Our training process also sets Burr Yacht Sales apart from other boat dealerships, not just because of how all-encompassing it is, but because it’s provided to buyers of both new and previously-cruised vessels. From extensive walkthroughs of onboard systems and docking practice, to joining our clients on an initial cruise, our training is simply unsurpassed. The same is true of our service program, which is extended to buyers of previously-cruised vessels. With a service program that includes 24/7/365 access to the Burr Yacht Sales team, and the most skilled technicians in the industry your service program is considered invaluable by our customers. We invite you to review our current inventory of previously-cruised Fleming Yachts. Please contact us with any questions or to arrange a consultation.